21 regular past verbs to sort into 3 types: ending with 'd', 't', or 'ed' sounds. Explains rules for pronunciation of past regular verbs. 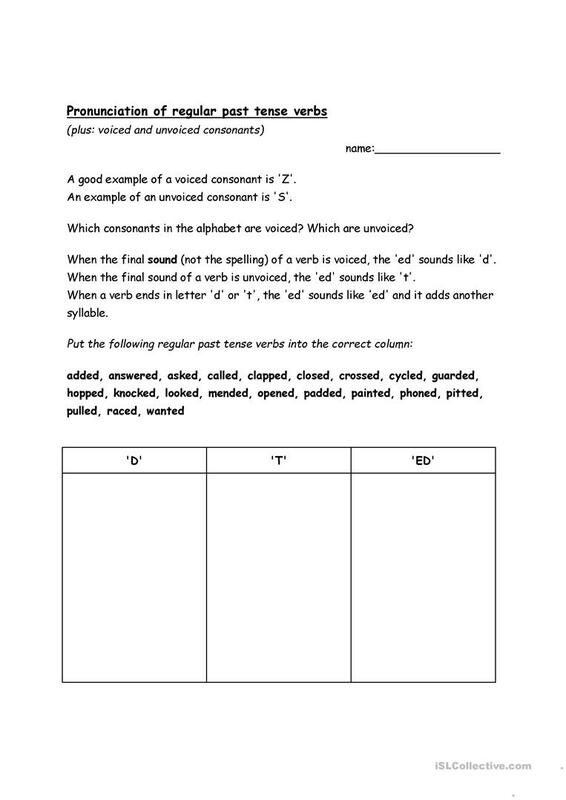 Also explains voiced and unvoiced consonants, which determine the final sound of regular past verbs. The present printable, downloadable handout is best suited for elementary school students and adults at Pre-intermediate (A2) level. It is valuable for consolidating Verb patterns in English, and was designed for enhancing your class' Speaking skills.